Discount codes are common with many events. Special pricing for certain groups, invited guests etc… can be accommodated by creating a discount code for the event which the ticket buyer can enter when buying a ticket. 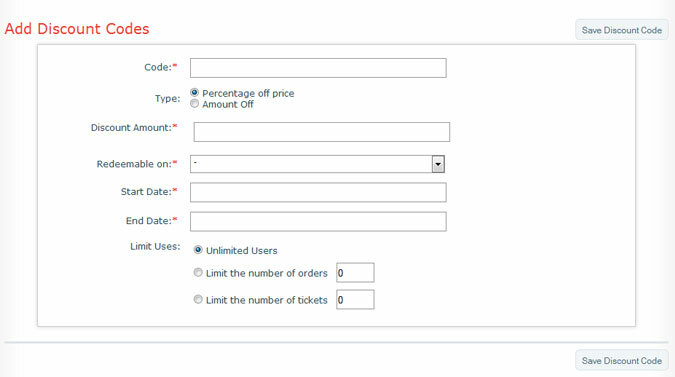 The discount code can be calculated as a flat fee or percentage and is applied to the ticket purchase automatically. To create a discount code, simply click the discount code tab at the top of your administrative page.